Today’s special guest is author Hawk MacKinney. He’s chatting with me about his new mystery/suspense novel, Hidden Chamber of Death. 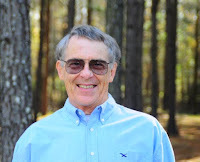 During his virtual book tour, Hawk will be awarding a $20 Amazon or Barnes and Noble (winner’s choice) gift card to a lucky randomly drawn winner. To be entered for a chance to win, use the form below. To increase your chances of winning, feel free to visit his other tour stops and enter there, too! Depends on how/when an idea strikes me. Title-plot-setting-character(s)…I carry a notepad with me night or day. Never know when resolution to a plot or an idea will hit. A reader identifies with the tale and the characters…sci-fi, thrillers, and the special lure of romance, which motivates the whole churn of it. Genre doesn’t exist. It’s a gimmick established in ancient Greek literature…so ancient it’s modern and meaningless. Genres are for bookstores & websites. In reality, each book combines all of these elements. 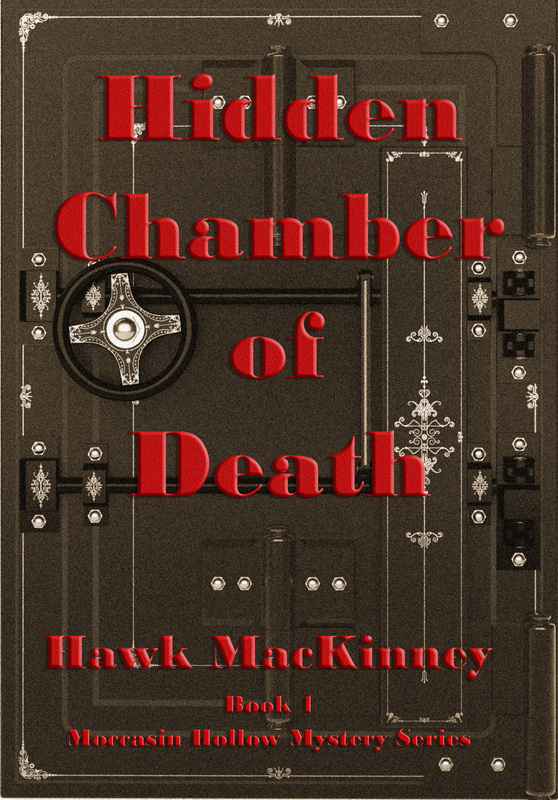 Please tell us a little bit about Hidden Chamber of Death. As a kid sitting on the back stoops with Grannie, counting lightnin’ bugs, lis’nin’ to her create bogdacious (bodacious) tales of haints and stars and worlds…it was endless. Do you listen to music when you write and if so, what kind of music? The great classics, Chopin, Beethoven, Sibelius, Smetana’s Má vlast, the great Russian composers, from the romantic period/The Beach Boys/ABBA. If it distracts…my man-cave is silenced. What helps overcome writer’s block? Give the manuscript a rest. Give your brain/fantasy/imagination a rest. Put the working draft away. Work on something else AND let the ‘bother’ sit on the shelf WITH a notepad forever handy. Stuff your mind/imagination/characters & plot with another work you’re puzzling together…let the bother become dust-ware. You’ll go back with a fresh view of it. Your books are set in many places. Have you ever been there? Set in South Carolina and Georgia, Colorado, other states of the lower 48, Scotland, England, Israel…vacationed/lived in most all. Most of the settings still exist…& most of those living thereabouts know nothing of the secrets lurking so close. Thanks for being here today, Hawk! 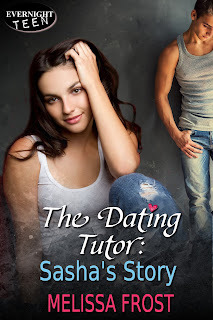 Today I'm featuring a special excerpt from the contemporary romance, The Dating Tutor: Sasha's Story by Melissa Frost. You can read an interview I had with Melissa in January, too. And that was when Sasha pulled back with a snort. “Alec was right. You have absolutely no idea what it’s like being friends with a girl. You went into this with the instruction of ‘friends only’. Yet you’re trying to kiss me ten minutes in.” Shaking her head, she grabbed the edges of her sundress and pulled it up over her head. Underneath, she wore a sports bra and a pair of bike shorts. From the trunk, she produced a pair of knee-high socks and cleats. She roughly tossed the ball in his direction, and he barely managed to catch it. Apparently, he was still working through confusion and surprise at her abrupt change of attitude. She would just need to help him along to a more modern way of thinking. “You know, the majority of us don’t discuss lip gloss,” Sasha said with a snicker, referring to a tidbit Alec had shared of Matt’s skewed views on women. “If you’d ever bothered to hold a real conversation with a girl, you’d know that.” She bent at the waist and threw her hair down toward the ground. Gathering it in one hand, she bundled it all together in a high ponytail atop her head. 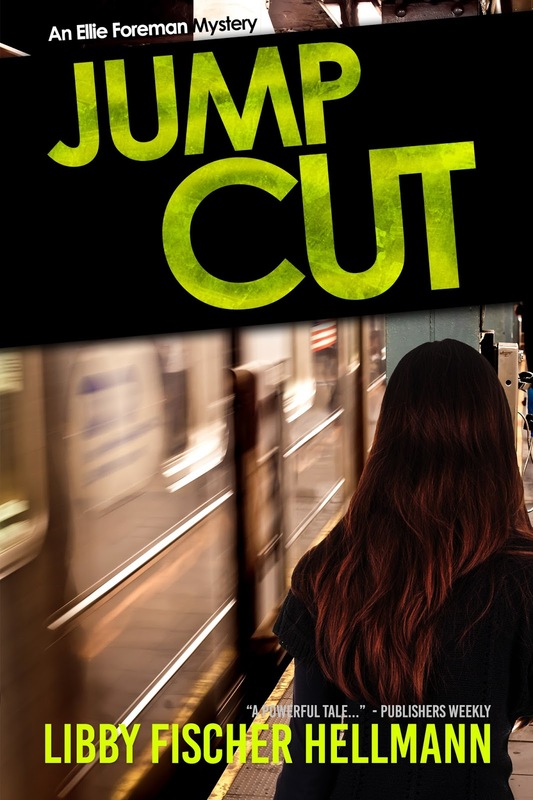 Today’s special guest is Libby Fischer Hellmann and we’re chatting about her new mystery/thriller novel, Jump Cut. During her virtual book tour, Libby will be awarding a $50 Amazon or Barnes and Noble (winner’s choice) gift card to a lucky randomly drawn winner. To be entered for a chance to win, use the form below. To increase your chances of winning, feel free to visit her other tour stops and enter there, too! Welcome, Libby. Please tell us a little bit about Jump Cut. 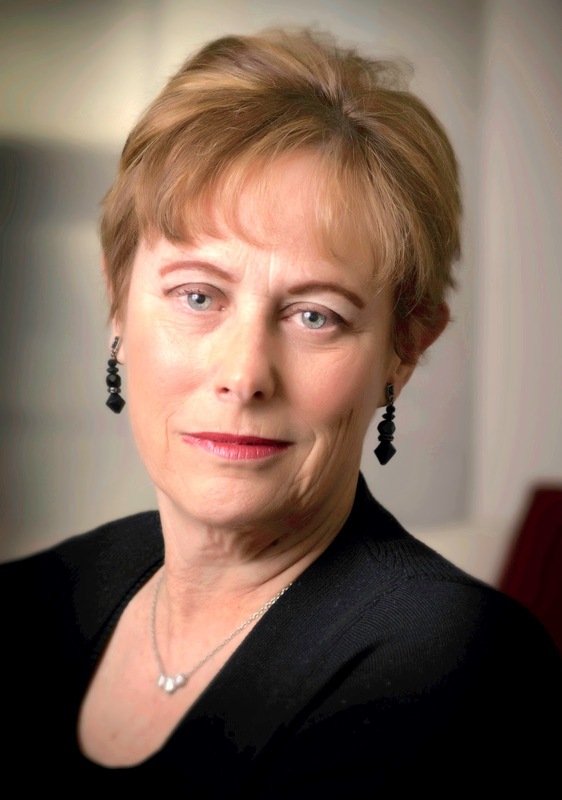 Chicago video producer Ellie Foreman has been “on vacation” for almost a decade, while I wrote other novels, including a four-volume PI series and three stand-alone historical thrillers. I brought her back for Jump Cut, but she’s soon entangled in a web of espionage, murder, and suspicion that threatens to destroy what she holds most dear. Hired to produce a candy-floss profile of Chicago-based aviation giant Delcroft, Ellie is dismayed when company VP Charlotte Hollander trashes the production and cancels the project. Ellie believes Hollander was spooked by shots of a specific man in the video footage. But when Ellie arranges to meet the man to find out why, he is killed by a subway train before they can talk. In the confusion, she finds a seemingly abandoned pack of cigarettes with a flash drive inside that belonged to the now-dead man. Ellie gets the drive s contents decrypted, but before long discovers she s under surveillance. Suspecting Delcroft and the ambitious Hollander are behind it, she s unconvinced when Hollander tells her the dead man was a Chinese spy. Ellie and her boyfriend, Luke, try to find answers, but they don t realize how far they have ventured into the dangerous echelons of hidden power where more lives are on the line including their own. As I mentioned above, I wrote four Ellie Foreman novels – Ellie being a Chicago video producer who gets involved in murder investigations, but I set the series aside to write a number of other novels. Last summer I dipped my toe into World War Two and spy literature with The Incidental Spy (which, btw, is free at the moment.) I did a lot of research for it, and it turned out well. So I decided to try a modern day espionage thriller set after the NSA revelations and Edward Snowden’s actions. What brought me back to Ellie, aside from fan requests, was the story itself. As soon as I knew I was going to write a “post-Snowden” espionage thriller, it was clear Ellie would be the character to anchor it. The fact that she could produce a video for a giant aviation company in Chicago that also manufactures military attack drones and had close ties to the US Defense community sealed the deal. I’m in the middle of another World War Two novella at the moment. It’s about German POWs who were imprisoned in the United States in 1943-1944, and an American farm girl who falls in love with one of them. That, hopefully, will be out in the fall. In fact, I’ll probably package it with Incidental Spy and title both of them with something like “Homefront” in the title. After that, I plan to write a (hopefully funny) caper novel with two women who are being chased all over the world by the mafia. I’m in a writers’ group – have been for twenty years (They’ll take me out of there feet first). When I first started, I didn’t know what I didn’t know. In fact, I knew very little. For example, before I was published, I wrote three novels. None have seen the light of day, and they never will-- they weren’t ready. I had to learn the craft of fiction. To wit, in one of those novels, two male police officers were the protagonists. One of them walked into a house to question a witness, and the first thing he noticed were the curtains in the window. “Um... no,” said my writing group. A solid, beefy cop would NOT notice curtains when he walked into a house. "You need to learn the difference between a man and a woman's point of view”, they said. Looking back, it seems obvious now. But at the time it felt like a revelation. Two years after that, I finally discovered Ellie Foreman and brought in the first chapter of what would become An Eye for Murder. I read it out loud. Afterwards there was absolute silence. I was sure I'd done something wrong. This was it, I was thinking. They're going to kick me out. Instead, as I looked around, the woman who'd been hardest on me, said, "That was amazing. You found your voice." Her comment is still the most flattering thing anyone has ever said to me about my writing, and I knew at that point, I was a writer. I used to be very disciplined. When my kids were still at home I’d get them up, take them to school, work out, then come home and write. Now, though, I seem to have lost that discipline. I write at all hours, and I do so much promotion that I’m actually not sure how I finished my last three novels. Besides writing and promoting and exercise, I volunteer at a Chicago high school to help kids write, I listen to Blues, go to movies… (although more and more I don’t have to “go out” – I can get them on Demand right at home). I used to free lance writing video scripts and teaching executives how to be better communicators, but I let that go to write full time. Probably the fact that I HAVE to write “chronologically,” that is from beginning to end. I know writers who write whatever scene or chapter they want and just fit them in afterwards, but I can’t do that. I don’t outline, so I have to go in a very linear fashion so I understand the story, and make sure my characters are behaving authentically. Hmm… I started out wanting to be a famous journalist based in Paris. That segued to broadcast news producer, and then film-maker a la Lina Wertmuller (who used to work with Fellini but then directed several great films on her own including “Swept Away.” Curiously, I NEVER had any plans to become a writer. It wasn’t even Plan B. Funny how life interferes with your plans. Yes… I thought it might be helpful to give you a little background on Ellie, for readers who are new to her. Ellie is a Chicago video producer and single mother. She lives on the North Shore about 20 miles from the Loop. Born and raised in Chicago, she married, had a daughter, then got divorced. Her mother passed when Ellie was in her twenties, but her father is still around, and plays a vital role in all the books. Ellie is outgoing and has a self-deprecating sense of humor as well as a strong sense of fairness and justice, so when she sees situations that aren’t, she is apt to get involved. Those situations usually (but not always) arise from the corporate or industrial videos she produces. She used to be rather impulsive, but as she’s matured, she’s more thoughtful. Still, she tends to end up in trouble and needs to get herself out of it. She’s had two serious relationships since her divorce – and now has settled in rather comfortably with Luke Sutton, who lives most of the week in Lake Geneva, Wisconsin. Unlike Georgia Davis, who is a loner, Ellie has a support system of friends and family around her. I like to describe the Ellie books as a cross between “Desperate Housewives” and “24,” but Jump Cut is much more “24’ (and raises serious issues) than the others. Thank you for being a guest on my blog today, Libby! "Exceptional... As Hellman’s convincing, conflicted characters face impossible choices, the tension is real and memorable." "Hellmann's writing sparkles...plenty of suspense in this richly detailed thriller, but Hellmann’s characteristic wit and warmth are evident, too." "From spies to drones and hackers, Jump Cut is a heart-stopping tale of corporate espionage that will have you snapping on your seatbelt. The tangled web of international intrigue is riveting. Hellmann is a renowned master of suspense, and her great talent shows in the story’s many rich characters, the beautifully honed paragraphs, and the sweep of her provocative story. A keeper!" "With spooks, spies, sudden death and double-crosses, Jump Cut hits all the right notes for a top-notch action thriller. Once again Ellie Foreman is a thoroughly likeable real-world heroine, fiercely protective of those she loves, thrown in at the deep end and swimming for her life. Don’t miss it!" "Welcome back Ellie Foreman! Jump Cut rockets to a stunning but thrilling climax… Another winner from the standout Chicago novelist Libby Hellmann."